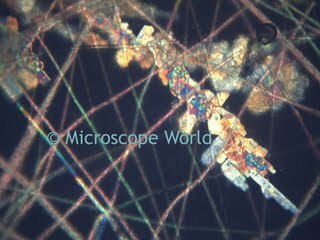 Polarizing microscopes are used to view minerals, polymers - basically anything with a crystal structure to it. Specific applications include geology, law enforcement (to look for traces of cocaine or crystal meth), pharmaceutical industries, and the medical industry - specifically to look for gout. 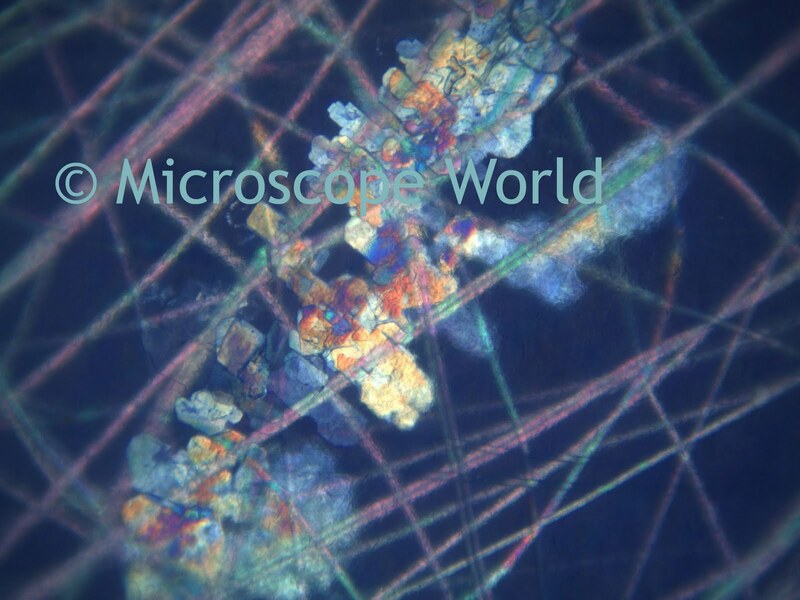 This image of polymers was captured with a MT9300 polarizing trinocular microscope and a MC2300 digital camera. 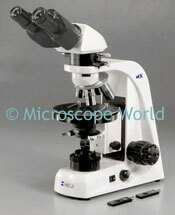 Polarizing microscopes use a polarizer and an analyzer in order to filter the light so that all the light waves are traveling the same direction on the same plane before it reaches the eyes. An in-depth explanation of polarization can be found here.